Cannabidiol (CBD) is the hot new topic in skin care but is CBD good for skin? Is it worthy of all the hype? The answer is a resounding YES! But finding a skin care product that actually contains CBD (or enough CBD) to get benefit is not easy. Get ready to enter the convoluted world of CBD. Let’s start with a summary because much of this topic is incredibly difficult to understand. There are no easy answers when it comes to your skin and products containing CBD, a component of the marijuana and hemp plants, both part of the plant genus Cannabis. 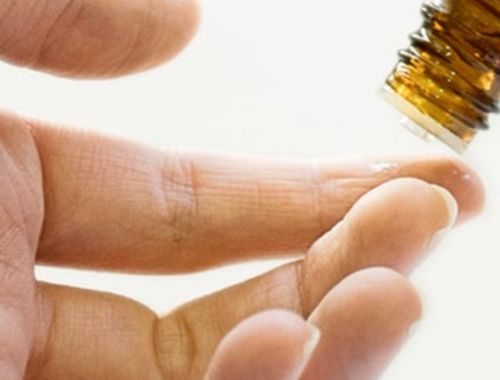 There is an enormous amount of conflicting information in the research about whether CBD is good for skin. Endless websites and brands claim to have the answers. Add to that the overwrought legal issues involving marijuana, hemp, and CBD coupled with the lack of regulation for CBD product claims and the entire topic is a buzzkill. Thankfully there’s positive news too so it’s absolutely worth sorting through the confusing part. Here is the bottom line: Yes, CBD isolate(meaning pure CBD) and full spectrum CBD(meaning the source contains cannabidiol and other beneficial compounds but mostly CBD) are great for skin because of their amazing anti-inflammatory properties. Without question, reducing inflammation is one of the most important needs for skin. That’s because everything from wrinkles, brown spots, sagging, acne, rosacea, microbiome damage, DNA mutation (skin cancer) and epigenetic DNA damage are all due to inflammation. 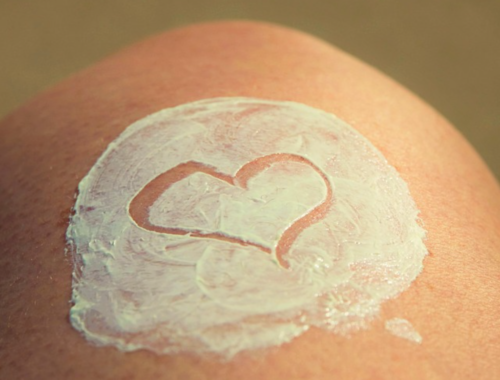 Anything you can do to reduce inflammation is brilliant for skin. However, when it comes to CBD, you would only be getting this benefit if the product really contains CBD. Therein lies the problem because not all products claiming to contain CBD actually do! Some people and brands claim hemp seed oil or CBD oil (CBD oil is not the same as CBD by itself on an ingredient label) contains enough CBD to have benefit. Others say it must be CBD isolate(pure CBD extracted from the marijuana plant, not the hemp plant). This pure concentrate of CBD is then usually mixed with a plant oil like olive, hemp seed, or coconut oil which is why CBD is often listed on a product as “CBD oil.” The cannabidiol ingredient works best in oil form, though that’s not to say other textures like a cream or lotion containing CBD won’t be effective. The evidence strongly shows that to ensure your product is really delivering the benefit of CBD, the ingredient label must list CBD or cannabidiol. If the ingredient label lists “CBD oil” it has no meaning and isn’t recognized by the FDA. However, I don’t want to shortchange hemp seed oil. Even though hemp seed oil is unlikely to contain the concentration or level of quality CBD needed to be effective for skin, it is still a very good ingredient. Hemp seed oil is a potent antioxidant plus it contains omega fatty acids which help nourish dry skin and, to some extent, reduce inflammation. But it doesn’t have the powerful anti-inflammatory properties that pure CBD does. One other essential fact: one ingredient can’t do it all. So, even though CBD has benefits when applied topically, what is far more valuable is for your skin care products to contain an array of beneficial ingredients. Look for antioxidants (too many to even try to list), skin-replenishing ingredients like glycerin, ceramides, hyaluronic acid, and omega fatty acids; and skin-restoring ingredients like retinol, peptides, and niacinamide. And of course, everyone needs to use sunscreen rated SPF 30 or greater every day of the year. All of these are important for both the short- and long-term health of your skin, so it can be as flawless and youthful as possible. Adding CBD to this roster is great; just don’t rely on it alone to address every aspect of skin care. You need to be a botanist, chemist, and neurologist to grasp the nuances of the vast number of Cannabis plant classifications, the compounds each one contains, and what makes these plants beneficial and controversial. There is an ongoing debate among scientists as to exactly what the differences are, but the following are the important basics you need to know. Cannabis, hemp, and marijuana are not the same things. Cannabis is a species of plants with two primary groups—Cannabis indica and Cannabis sativa. Marijuana and hemp are usually classified as being part of the Cannabis sativafamily. Marijuana and hemp share certain similarities, however, due to each plant’s biological structure, they also have significant differences. In terms of the benefits for medical and recreational use, the main components of interest in marijuana and hemp are tetrahydrocannabinol (THC) and cannabidiol (CBD). If there is any agreement in the research it is that the THC concentration of the hemp plant (THC is the component of Cannabisthat gets you high) must be 0.3% or less, while marijuana can contain between a 5% to 40% concentration of THC. Because hemp contains such a tiny amount of THC, it is legal in most parts the world, and where it is not, the legal consequences are considered minor. This is why mostly hemp is being used in skin care products and not marijuana. You can use CBD from marijuana in skin care products provided you have tests to confirm the THC content is 0.3% or lower. THC is of little interest for skin; instead, it’s all about the stunning anti-inflammatory properties pure CBD provides. Yet, most skin care products don’t contain pure CBD because there are legal concerns that it retains a small amount of THC (though that is hardly agreed on). Due to this fear of THC, most skin care products advertising or labeled “CBD” just contain hemp seed oil. This is the center of the controversy because a good deal of the research and many scientists have shown there is no CBD in hemp seedoil. The seed shells might contain trace amounts of CBD, but not enough to have skin benefit, not to mention the seed’s outer shell may or may not be part of processing hemp seed oil. Another fascinating facet of CBD efficacy has to do with the other compounds present in the Cannabis plant which boost the CBD’s efficacy (this is another aspect of genetically modifying the cannabis plant). These include aromatic terpenes, chemical compounds which give marijuana its pungent, recognizable odor anddirectly impact how potent and effective the CBD is. On the other hand, hemp contains almost no terpenes which is another reason scientists believe the CBD it may have is considered medically ineffective. Now (finally!) this is where it gets interesting. The latest research shows when pure CBD is applied to skin, it works as a cell-communicating ingredient. It literally “tells” the natural cannabinoid receptors existing in skin to reduce inflammation in a unique way, different from how other anti-inflammatory ingredients work. The more ways you can reduce inflammation in skin, the better. This is why you would never just rely on CBD or any single ingredient for reducing exposome inflammation. Here’s how it works: all cells, including skin cells, have receptor sites, locations on the cell that can respond to millions of specific substances. For skin cells, those substances include vitamin A (retinol—or other retinoids), dozens of different peptides, niacinamide, licorice extract, adenosine, lecithin, willowherb, and various others, including CBD. Skin cells have two receptor sites for two active components in CBD known as CB1 and CB2. Because the cell has these CBD receptor sites, when CBD absorbs into skin it can locate these sites on the skin cell and tell the cell to diminish any damage caused by inflammation. Given signs of aging, sun damage, acne, skin discolorations, rosacea, sensitivity, and on and on are all stimulated and made worse by inflammation, any ingredient capable of directly “telling” skin to reduce inflammation is a great benefit, improving almost every aspect of skin’s health and appearance. CBD has also been shown to make skin less sensitive and less prone to allergic reactions because of the way it calms inflammation. Now tell me that isn’t a great feature! Other research has shown CBD can potentially control excess oil production (inflammation stimulates oil in the pore, so reducing that diminishes oil production). It is also a good source of antioxidants for skin (which reduces environmental free radical damage). Adding to this already long list of potential CBD benefits, it may also improve the skin disorder psoriasis by inhibiting the overproduction of thick keratinocytes (skin cells). HOWEVER, as amazing as this all sounds, keep in mind that much of the research is emerging now and not conclusive in the least. It’s important to not get too carried away. And please understand, despite these noteworthy properties of CBD, don’t forget there are lots of other brilliant anti-inflammatory and antioxidant ingredients that have these benefits for skin, albeit through different pathways in skin than the action of CBD. 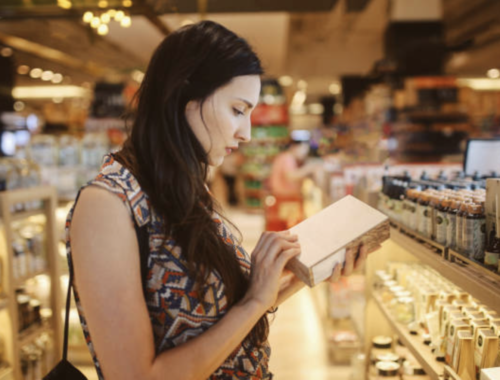 Understanding a skin care ingredient label is incredibly difficult no matter who you are. Even medical professionals struggle with ingredient lists! This is because the ingredient names are so technical or listed in Latin. It takes a cosmetic formulator to truly grasp what the ingredient really is and how it works with the other ingredients in the formula. CBD is one of the few ingredients in skin care you can easily recognize on an ingredient label if you know what to look for. In order to ensure you’re really getting a product containing CBD, you need to see the ingredient “cannabidiol”, “CBD isolate” or “hemp-enriched CBD” listed on the label. “CBD oil” doesn’t count as it is not a legal ingredient name. There are also companies that list the dosage their product contains in milligrams and include on their websites independent third-party certification that the amount of CBD claimed on the label is accurate! That’s really the best. Remember, many products claiming to contain CBD don’t actually contain it. This is true even when CBD or CBD oil is in the product’s name or the company’s marketing information says it contains CBD. Again, there are no regulations in place to stop brands from misleading you about a product’s CBD content. …which is not my fault, I’m just the messenger. Aside from CBD, you may have seen products claiming they contain CBD in the form of cannabigerol (CBG), cannabinol (CBN) and cannabichromene (CBC) and wonder if these are good for skin and what the differences are. Think of the marijuana plant like vitamin A. There are dozens of different components that make up the entire vitamin A molecule, collectively known as retinoids which are used in skin care products both for cosmetic and pharmaceutical use. Each retinoid component has varying degrees of skin care benefits. The same is true for marijuana and hemp (cannabis) plants. There are lots of different cannabinoids with the most significant one for skin being CBD. Why are companies starting to use CBG, CBN, and CBC? The answer is for the same reason they use hemp seed oil: to get around legal concerns around using any component of the marijuana plant. Companies will tell you these random cannabinoids work like CBD, but that research is from the manufactures of the ingredients, not from the independent studies (at least none I’ve seen—if/when that changes I’ll let you know). 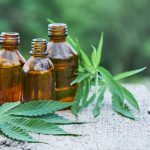 What About CBD Oil In Hair Care Products? Speaking of crazes, with all the BS surrounding CBD in the world of beauty, hair care brands are now making claims about CBD as well. However, those products mostly contain hemp seed oil. Generally speaking, hair care products containing pure CBD aren’t going to do anything because hair is dead. The benefits of CBD only work on living skin. In a shampoo or conditioner, the CBD would be rinsed off and wouldn’t have time to absorb into the scalp. In a styling product you’d have to be sure to rub it into the scalp which would make hair heavy and limp. However, if you rub pure CBD into the scalp that may be helpful for psoriasis and dandruff. Cannabis and Cannabinoid Research, September 2018, pages 190-194 and An Update on Safety and Side Effects of Cannabidiol, June 2017, pages 139-154. Journal of Pharmacology and Experimental Therapeutics, June 2018, pages 652-663. The Cannabis Law Journal, June 2017. Labeling Accuracy of Cannabidiol Extracts Sold Online, November 7, 2017. Cannabis, Hemp & the Law, by Martin A. Lee, Project CBD. Epilepsy & Behavior, May 2017, part B, pages 288-291. Journal of the American Academy of Dermatology, July 2017, pages 188-190. Medical Hypotheses, February 2017, pages 15-18. EBioMedicine, February 2017, pages 3-5. European Journal of Pain, July 2016, pages 936-948. Current Clinical Pharmacology, May 2016, pages 146-147. DARU Journal of Pharmaceutical Sciences, October 2015. Journal of Clinical Investigation, September 2014, pages 3,713-3, 724. Free Radical Biology and Medicine, September 2011, pages 1,054-1,061. British Journal of Pharmacology, January 2008, pages 199-215. Journal of Neuroendocrinology, May 2008, Supplemental, pages 10-14. Journal of Dermatologic Science, February 2007, pages 87-92. Hemp and Marijuana: Myths and Realities, February 1998, by David P. West, PhD. *Free access is available for some of the above published research. Many scientific journals and/or publications I use require subscriptions or I purchase the individual study. Due to copyright laws and terms of service agreements, I cannot share access to the journals or studies that require purchase; however, anyone is welcome to purchase the full study to read at their leisure.